Hurry to Make Your Vote Count! The sheer number of acoustic metrics, criteria, and associated abbreviations can be overwhelming, confusing, or sometimes misleading. This article provides an overview of key acoustic metrics and criteria commonly referred to in various building codes, design guidelines, and standards. From December 3 to 5, the 26th annual Construct Canada is coming to the Metro Toronto Convention Centre. Held concurrently with PM Expo, HomeBuilder & Renovator Expo, Concrete Canada, Construct International, and IIDEXCanada, it is a major component of The Buildings Show—billed by organizers Informa as the continent’s largest exposition, networking, and educational event. The event is expected to draw some 500 expert speakers and 35,000 attendees, and there will be more than 1600 exhibits and 350 seminars and demonstrations, delivering the latest in products, technologies, best practices, and applications. 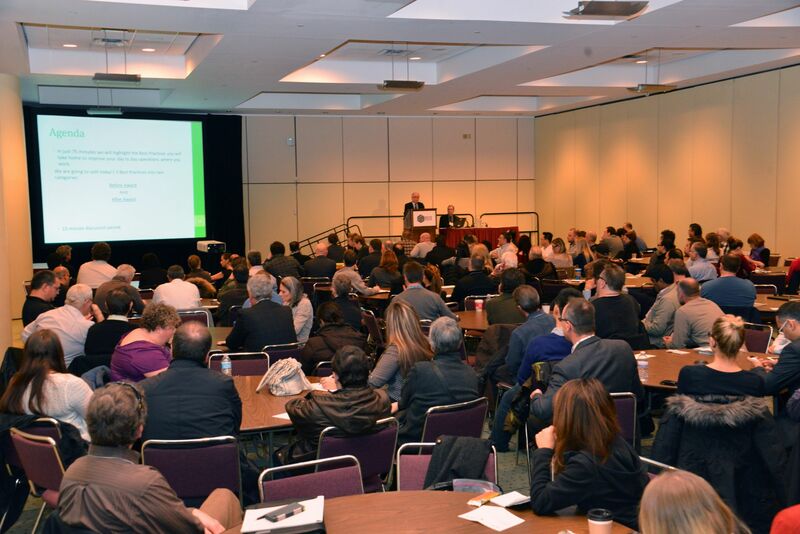 Similar to previous years, Construction Canada is partnering with the Ontario Building Envelope Council (OBEC) to co-present a stream of technical seminars examining diverse aspects of exterior enclosures. From rainscreens and moisture management to the latest in balcony design, these sessions are led by some of the top experts in the North American building community. The convention features numerous educational streams to categorize technical and practical seminars for design/construction professionals. Further, the entire educational program—which ranges from construction law and team-building to sustainable design and universal accessibility issues—is accredited by the Ontario Association of Architects (OAA). A full list of seminars is available online. While at the show, be sure to visit members of the Construction Canada team at booth #720. Free registration is available until November 25. For more information, visit www.constructcanada.com or download the app from iTunes or Google Play.